The Queen was in a rage with Margaret Thatcher over her refusal to back sanctions against South Africa and considered scrapping their weekly audience, newly-declassified files reveal. Her Majesty is said to have fumed that the then prime minister had damaged ‘her Commonwealth’ by refusing to support hardline actions against the racist apartheid regime. Her anger, which apparently erupted after a 1987 Commonwealth heads of government summit, is revealed in official Irish files released under the country’s 30-year rule. A Buckingham Palace source briefed an Irish diplomat on the situation who in turn reported back to the Irish prime minister. The Commonwealth summit took place in Vancouver, with tighter sanctions against South Africa among the issues that were discussed. During the talks 47 other leaders agreed to increase pressure on the country to end its apartheid system in which black people were segregated from whites. But Mrs Thatcher refused to back the calls to end the discriminatory practice – and Britain was blamed for thwarting the move. The conference ended in bitterness and recriminations among presidents and prime ministers from the former colonies. Mrs Thatcher was seen as having ‘blundered badly’. An Irish diplomat based in London reported back to Dublin that ‘she well knows but cannot admit her mistake’. After speaking with a source inside Buckingham Palace, Richard Ryan, a former chargé d’affaires at Ireland’s embassy in London, sent a memo to his prime minister’s office. 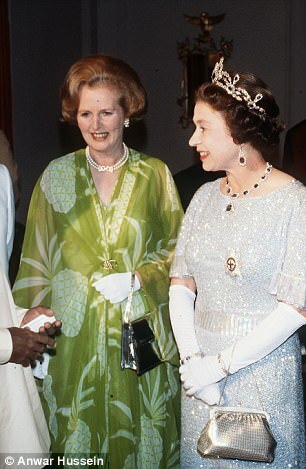 ‘There is a wide view too that the Queen is in a rage with Mrs Thatcher over her handling of the sanctions question (not because of the substance of the argument but because of its style: the Queen, it is said, sees the insensitivity as further damaging “her” Commonwealth at a sensitive time),’ he wrote. Such was the Queen’s anger she considered scrapping her weekly audience with Mrs Thatcher, the Palace source told Mr Ryan. The Queen can use the audience to express her views on government matters. The diplomat – referring to the Queen as Brenda, a nickname coined by the satirical magazine Private Eye – reported: ‘A source in the Palace said that “Brenda” was seriously considering cancelling last night’s Tuesday audience with the prime minister. 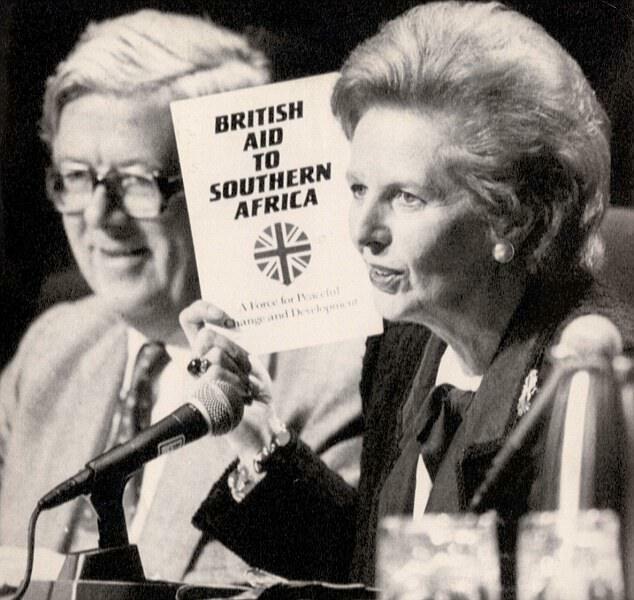 Mrs Thatcher’s ‘moods’ at the time also caused concerns about their possible impact on Anglo-Irish relations. She was ‘in very bad form’ over problems in the financial markets which ‘badly set back’ her plans to sell off the Government’s remaining stake in the once state-owned oil giant BP. In a footnote, the diplomat suggested that his information on her frame of mind need not be given ‘too much weight’ but added: ‘We have, though, in the past seen some examples of how the PM’s moods can make life more difficult for those around her and doing business with her. The files also reveal that the Queen was ‘very much in favour’ of the Anglo-Irish Agreement, saying it was a step ‘in the right direction’. 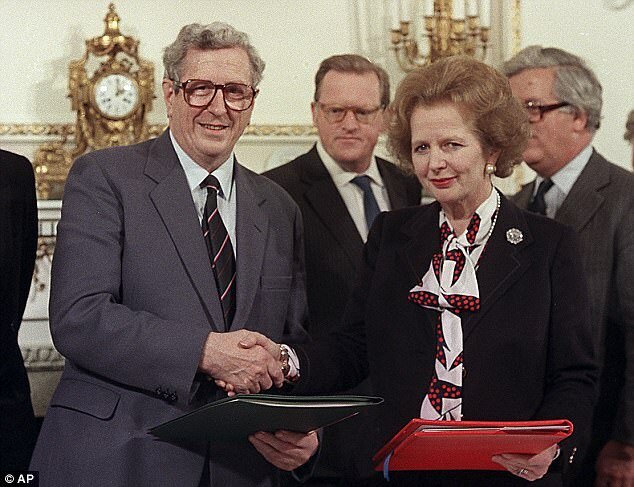 The accord, signed by Mrs Thatcher and her Irish counterpart Garret FitzGerald in 1985, aimed to bring an end to the Troubles by giving the Irish government an advisory role in Northern Ireland’s affairs. It sparked mass protests among Unionists in Northern Ireland. In 1987 the Queen’s then press secretary Michael Shea had lunch with an Irish diplomat who reported back to the Irish premier’s office. In his report of the private meeting he said ‘the Monarch’ was in favour of the accord, and a ‘fan’ of Mr FitzGerald. John Major rushed out the news that the Queen had agreed to pay income tax to deflect criticism of the royals, the files reveal. The then prime minister made the news public as Her Majesty was rocked by her ‘annus horribilis’ of 1992. During the year, the collapse of Prince Charles and Princess Diana’s marriage was revealed in Andrew Morton’s book ‘Diana: Her True Story’, while the Duke and Duchess of York announced their separation and Princess Anne divorced her husband Captain Mark Phillips. A fire also caused extensive damage to Windsor Castle, prompting an outcry when it was suggested that the estimated £60 million repair bill be met by the taxpayer. The scrutiny prompted growing concern about the effect the ‘intrusive and intolerable’ media coverage was having. Mr Major told the Cabinet that the Queen, who was not subject to taxation, asked him to come up with an arrangement for her to pay tax.. The announcement was due within weeks, but Mr Major speeded up the process to end media criticism of the Queen.